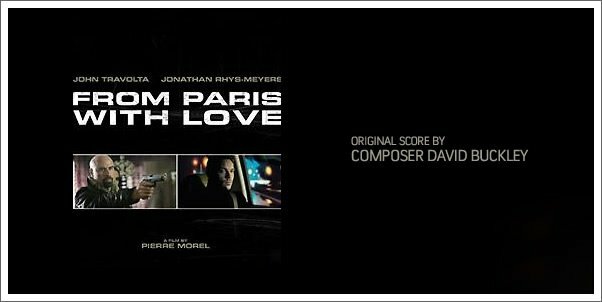 Composer David Buckely (The Forbidden Kingdom) is fnishing up his score for the upcoming film, FROM PARIS WITH LOVE. The film is directed by Pierre Morel (Taken). This new film stars John Travolta and Jonathan-Rees-Myers. It is being produced by well-known director/producer, Luc Besson. Certainly this score will have a different flavor to THE FORBIDDEN KINGDOM, but, by the looks of the teaser trailer, could be some good, French, fun.